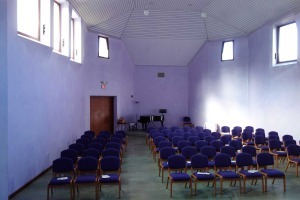 Our Congregation offers its beautiful space for rent. Over past years, music teachers especially have made use of our beautiful Chapel space for end-of-term recitals. Arscura, school for Living Art, is a permanent user of the space for courses. There is also space for workshops. For more information and for scheduling rentals please use the form below. Please provide as much information as you can so that we can respond as efficiently as possible to your request. Thank you. Why at the Christian Community?